It’s hard to think of a topic where following conventional wisdom is more dangerous. As a result, most people put more thought into the shoes they purchase than the bank they entrust with their life savings. It’s a classic moral hazard. People are more likely to take risks when they don’t think they’ll bear the costs if and when something goes wrong. But, the truth is, if you make poor banking decisions, you may end up bearing some of the cost. When you look at the facts, it becomes clear that choosing the right custodian for your life savings makes a difference—and it deserves some serious thought. 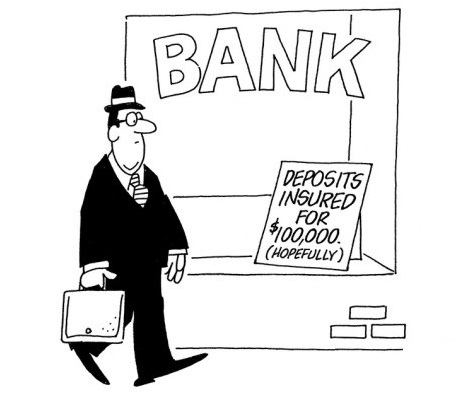 In the US, the Federal Deposit Insurance Corporation (FDIC) insures bank deposits. When a bank fails, the FDIC pays depositors up to $250,000. The FDIC has a reserve of around $30 billion for this purpose. Now, $30 billion is a lot of money. But, considering the FDIC insures around $9 trillion in deposits, $30 billion is just a drop in the bucket. It’s actually less than half a penny for every dollar it supposedly insures. Over two dozen US banks have deposits larger than the FDIC’s $30 billion reserve. One large bank failure and the FDIC itself would go bust. And, with many big US banks leveraged to the hilt, that isn’t an outlandish possibility. Oddly, these facts don’t seem to shake the confidence the general public and most financial experts place in the banking system. To make matters worse, governments around the world have already established a dangerous precedent: Whenever a government deems it necessary, it simply disregards deposit guarantees. This happened a few years back in Cyprus, in the early days of the country’s financial crisis. Initially, the Cypriot government tried to dip its hands into bank accounts under the guaranteed amount. I’d bet this trend is only beginning. We haven’t even made it through the coming attractions. Placing confidence in any banking system simply because of a bankrupt government’s promise is dangerous. Follow conventional wisdom at your own peril. Fortunately, in this day and age, geography doesn’t need to limit where you bank. Banking outside of your home country—where you can find much sounder governments, banking systems, and banks—is, in most ways, just as easy as banking with Bank of America. Setting up a bank account outside of your home country protects you from capital controls, lightning government seizures, bail-ins, other forms of confiscation, and any number of dirty government tricks. In short, savings in offshore banks are largely safe from any madness in your home country. Offshore banks offer another benefit: They are usually much safer and more conservatively run than banks in your home country… at least if you live in the US and many parts of Europe. It’s hard to see any downside to placing some of your cash in offshore banks where it will be treated best. In the event your home government does something desperate or your domestic bank makes a losing bet, it could save you from financial ruin. 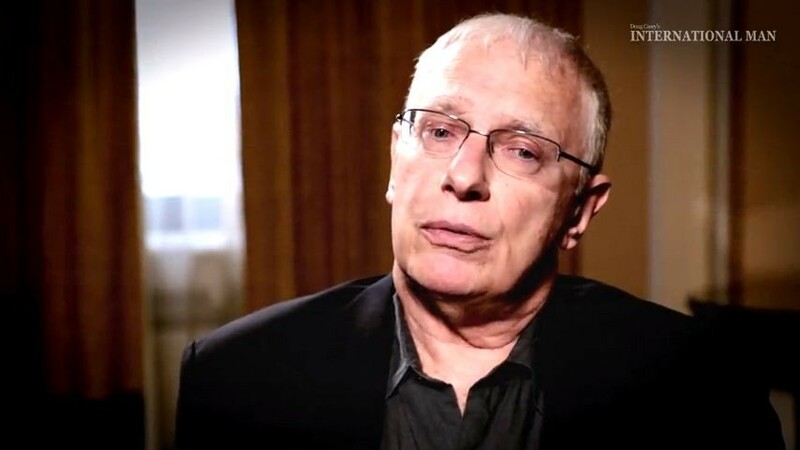 A few years ago, Doug Casey and I visited Cyprus in the wake of their banking collapse. We met with a number of astute Cypriots who saw the writing on the wall. They moved their money to safe offshore banks before the bail-in and capital controls. It saved them from the harmful effects. We can learn a lot from their example. - The economic fundamentals and political risk of the jurisdictions the bank operates in. - The quality of the bank’s assets—namely its loan book and investments. This helps you determine what the bank is doing with your money. I look for conservatively run banks that won’t gamble with your deposits. I avoid banks that make leveraged bets with things like mortgage-backed securities or Greek government bonds. - Liquidity—A relatively safer bank will keep more cash on hand rather than invest it in risky assets or loan it out. That way it can meet customer withdrawals without having to potentially sell off assets for a loss—which could affect its ability to give you back your deposits. - Capitalization—This is a measure of the bank’s financial strength. It also shows you if the bank is using excessive leverage, which can increase the risk of insolvency. A bank’s capitalization is like its margin of error: the higher the better. Another important factor is whether an offshore bank has a presence in your home country. For optimal political diversification, it’s better if it does not. For example, assume you are a Chinese citizen and want to diversify. It wouldn’t make much sense to open an account with the New York City branch of the Bank of China. From a diversification standpoint, it would be much better to open an account with a sound regional or local bank that doesn’t have a presence in or connection to mainland China—and thus can’t have its arm easily twisted by the Chinese government. Each year, a prominent financial magazine publishes a study on the world’s safest choices for offshore banking. Below are its top 10 safest banks in the world. Notice that none of them is in the US. Now, if you’re a US citizen, it’s very unlikely you could just show up at one of these banks and open an account as a nonresident. That is, unless you plan on making a high six- or seven-figure deposit. Then you might have a chance, but it’s still not guaranteed. You can thank the US government for that. It imposes a lot of red tape on offshore banking with US clients. For foreign banks, the logical business choice is to show Americans the “unwelcome” mat. The costs simply don’t justify the benefits. Unfortunately, this is true for many banks the world over, which drastically cuts the choices Americans have for offshore banking. It’s a form of de facto capital control. There are, of course, exceptions. Some solid foreign banks still accept Americans, and some even let them open accounts remotely. This means you can obtain huge diversification benefits without ever leaving your living room. Despite what you might hear, having a foreign bank account is completely legal. It’s not about tax evasion or other illegal activities. It’s simply about legally diversifying your political risk by putting your liquid savings in sound, well-capitalized institutions where they’re treated best. We recently released a comprehensive free guide to our favorite foreign banks and jurisdictions, including, crucially, those that still accept Americans as clients and allow them to open accounts remotely for small minimums. 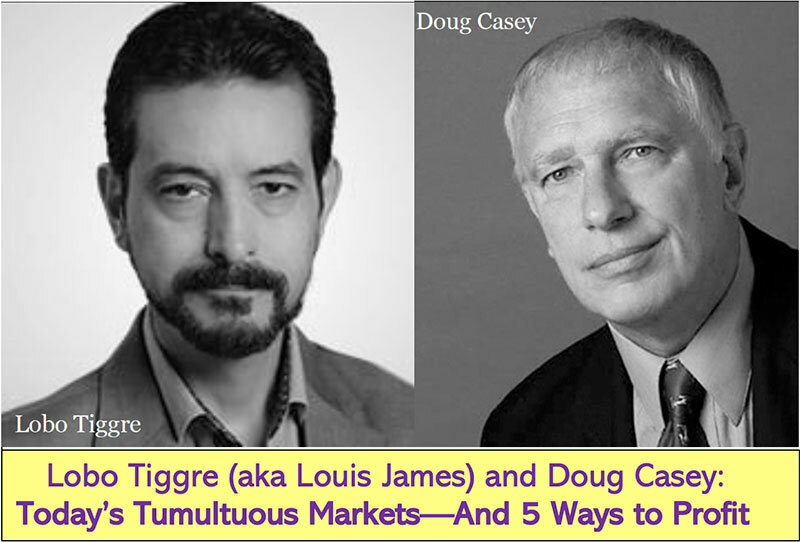 New York Times best-selling author Doug Casey and his team describe how you can do it all from home. And there’s still time to get it done without extraordinary cost or effort. Click here to download the PDF now.